He has been a professional speaker for over ten years. He has presented to blue chip companies and top organisations around the world, like Google, Lego, BBC, eBay and Sony (see testimonials page). He is an international bestseller…for a book that is completely blank. He’s in the Guinness Book of Records. He’s been called a ‘Marketing God’. He prints his own currency. His products have won ‘Gift Of The Year’. Twice. He knows how to unlock your creativity, energise your marketing and improve your sales. His speeches are always suitable for a corporate, business, and conference environment. After gaining his degree in Experimental Psychology at Balliol College, Oxford University, Shed spent two years working at Disney World. He then pursued a successful career in TV production (heading up programmes including ‘The Big Breakfast’ and ‘Big Brother’), and later created a merchandising empire selling over 1.5 million novelty gifts (and growing). He’s also climbed the Amazon charts to become an internationally bestselling author, and now enthrals audiences the world over with his hilarious and instructional motivational speeches, whilst also running his myriad business interests. His areas of expertise are creativity, innovation, sales, and guerrilla marketing. Blending humour and innovation has been Shed’s approach throughout his career and it’s how he engages with his audience while offering usable tips and proven techniques. 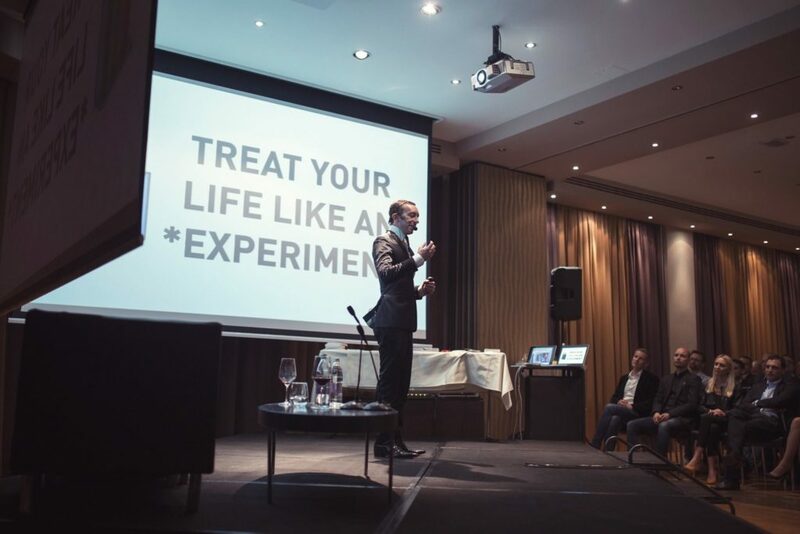 He’s been called an ‘entrepreneurial Lee Evans’, ‘a cross between Anthony Robbins and Woody Allen’, and someone who raised the bar for all future guest speakers. Shed is the perfect keynote speaker for any event, whether you require a light-hearted after-dinner speech or an inspirational keynote presentation. If you need to kick start innovation at your company, Shed can deliver your Team the tools they need to achieve your sales and marketing goals. All of the content Shed includes in his motivational speeches is suitable for a business, corporate and conference environment – and is approved with the client beforehand. To create a unique and memorable experience for your audience, just get in touch.